Have you ever heard of synchronicity? Sometimes described as a coincidence. It’s a term created by psychologist Carl Jung who originally used the term synchronicity in his 1952 essay, “Synchronicity: An Acausal Connecting Principle”, to describe chance happenings between unconnected people or events. Why am I writing about this and what the heck does synchronicity have to do with sprouting? Recently I have been researching the health and nutritional benefits of sprouts. After learning and experiencing first hand the impact soaking and sprouting seeds, nuts and grains have in my own diet I wanted to share the info with our readers. The next morning I found a message in my inbox from a blogger who wanted to write an article for our site. Guess what was the topic of her interest? Yup, you got it- Sprouts: Living Foods for Optimal Health. How do you feel about this phenomena? Do you have any experience with it? Feel free to share it in the comment session below. Are you thinking of starting your own organic garden at home, but can’t decide which plants to grow because of your limited space? Here’s a great idea: grow organic sprouts. 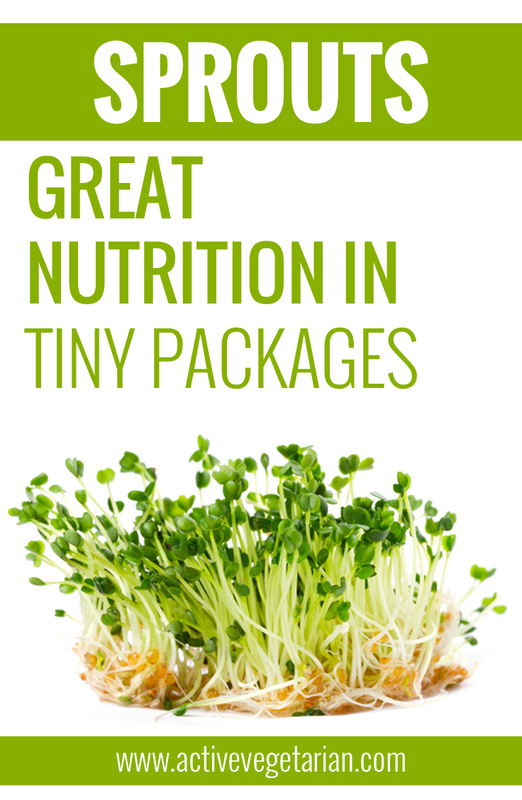 Despite their small appearance, sprouts are actually packed with nutrients. Usually eaten raw, they are best added to salads, sandwiches, or even to your green juices or smoothies. If you’ve never tried sprouts before, perhaps this article will convince you of the immense benefits this nutrient-filled food can offer you. Sprouting, simply speaking, is when a seed cracks open for the first time and sends a leaf stalk or root poking upward out of the soil. In the life of a plant, this is a moment of great vitality and energy. When a plant’s seed sprouts, it activates many different metabolic systems, converts some of its sugar content into vitamin C, and also synthesizes a variety of new enzymes. Sprouts are packed with nutrition, including antioxidants, vitamins, minerals, and enzymes, all of which help protect against free radical damage. Are loaded with up to 100 times more enzymes than raw fruits and vegetables. This lets you extract more vitamins, minerals, essential fats, and amino acids from the foods you eat. Have as much as 30 percent more nutrients than the original plant does. Contain minerals like calcium and magnesium, which bind to the protein and make them more bioavailable. Improve the quality of the protein and fibre of foods like nuts, beans, seeds, and grains. Have You Tried Any of These Sprout Varieties? You don’t have to worry about spending a fortune on growing sprouts, as they are among the most inexpensive foods you can buy or grow. Yes, you can purchase them at supermarkets, but where’s the fun in that? Plus, growing them at home can cut the cost by as much as 90 percent or more. need to wash and clean the jars regularly to prevent mold from growing. Sprouts are a highly versatile food that you will surely enjoy. Add them to your favourite vegetarian dishes, salads, sandwiches, or even as a topping to your main dishes. To increase their shelf life, simply store them in the refrigerator. Elaine Ferrer writes for Mercola.com and is currently researching how to grow foods at home, as well as how to start an organic garden. Some of her previous articles delved on topics like nutrition and how to add supplements like colloidal silver to your daily routine. Week #14 – The Protein Myth: Do You Get Enough Protein on a Plant Based Diet? Excellent . the most valuable stuff on ur article was how much time to soak and temperature which i couldnot find any where ! just one thing i cannot understand on soaking on some areas u wrote soak in warm ( or cold water ) and store in fridge …. 1. Rinse the seeds well and pour into a jar (fill to 1/4 mark). 2. Fill the jar at least 3/4 full of water. 4. In the morning pour out the water and seeds and rinse with fresh water and strain. 5. Return the seeds to the jar. 6. Cover the jar with cheesecloth and secure the cloth with the rubber band. 7. Briefly turn the jar upside down to drain the remaining water. 8. Place the jar on the kitchen counter, away from heat and allow some natural sunlight. 9. Sprouts will begin to appear within 24 hours (give or take depending on the seed). 10. Make sure the sprouts stay moist so that they sprout fully by rinsing and draining them 1-2 times daily until they have reached the desired growth. (as in steps #4-8). 11. Rinse your sprouts before eating. Sprouts can be stored in the fridge uncovered for up to one week. *IMPORTANT – do not let buckwheat sprouts grow longer than the seed itself, to prevent unwanted quantities of the toxin fagopyrin, which can cause light sensitivity.